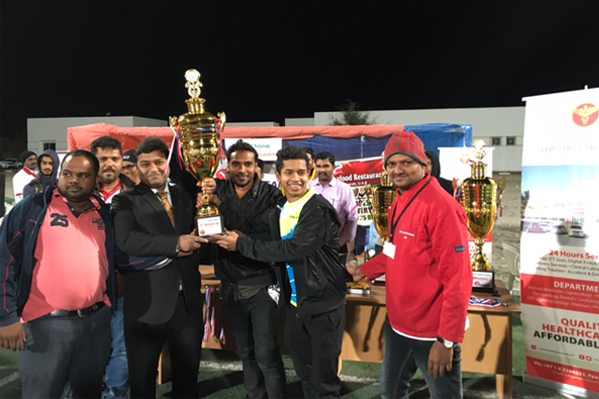 Thumbay Hospital – Fujairah participated as ‘Medical Support Partner’ of the football tournament organized by the Indian Fujairah Football Club (IFFC), on 12th & 13th February 2016 at Al Jazeera Stadium in Fujairah. The partnership was a part of Thumbay Hospital’s continued endeavors to spread health awareness and to encourage sporting activities among the public, to promote healthy lifestyle. 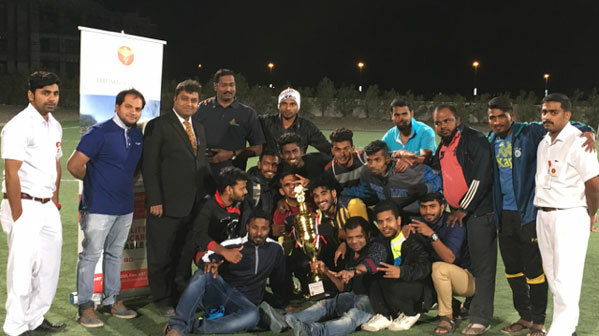 A total of 24 teams from all over the UAE participated in the tournament, which was watched by around 1000 spectators. 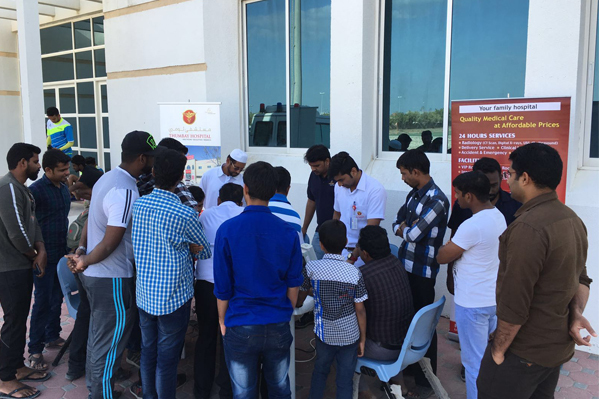 Thumbay Hospital provided free blood sugar and blood pressure check-ups for the spectators, which were availed by many of them.